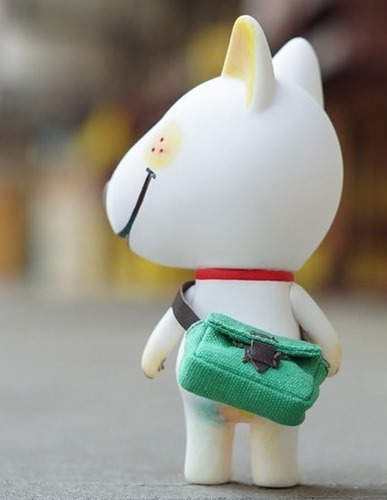 We love conventions, for the exclusives of course, but also for the reveals. 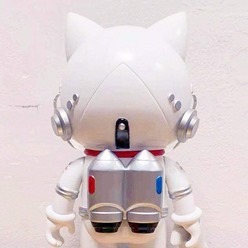 So we’re amped about the NanoTEQ Nutbuster proto from QUICCS x Devil Toys on display at Taipei Toy Festival. 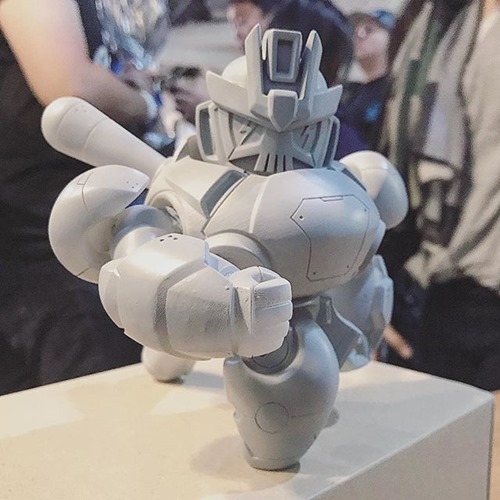 The 6” soft vinyl mech features a compact, powerful sculpt with a three-point design for stability (and nifty back and side views). And yes, the NanoTEQ 63 pops right into the cockpit for plenty of playability. Expect this one in early 2019. 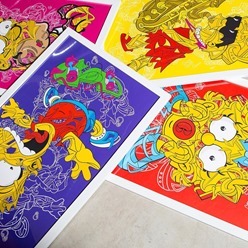 We’re looking forward to seeing painted samples and colorway designs. Hit the jump for more drool worthy angles. As part of its TTF gallery, BettermeART is showing its new Elevate sculpture from Chicago artist Louis de Guzman. The piece showcases the artist’s deconstructed shreds/ribbon style with bits of Bart flying off the reckless Simpson as he’s apparently headed for a spill. 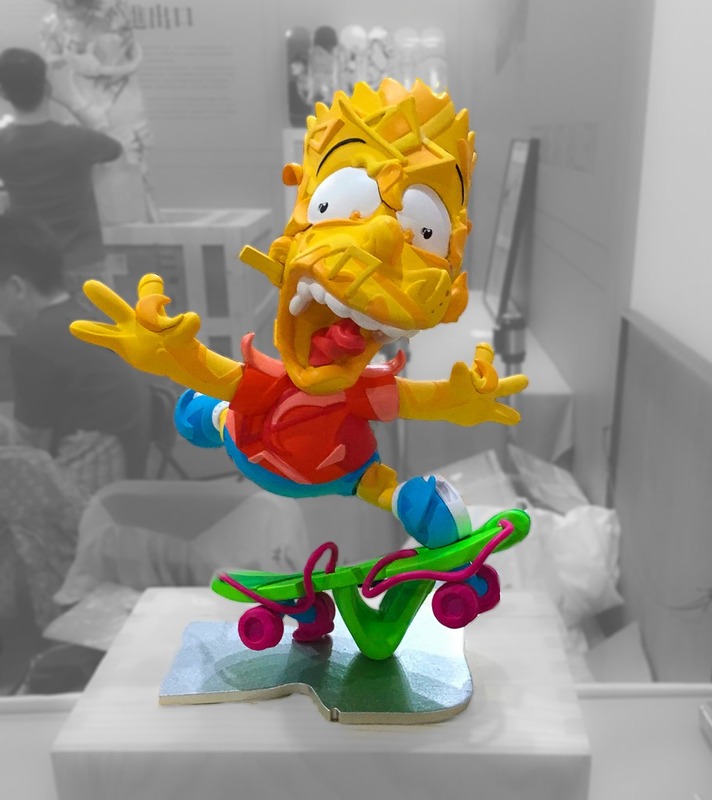 The dynamic sculpt captures Bart mid-flight with layers of detail that play to the strengths of the 3D medium. Hit the jump for a closer look at the sculpt from several angles. 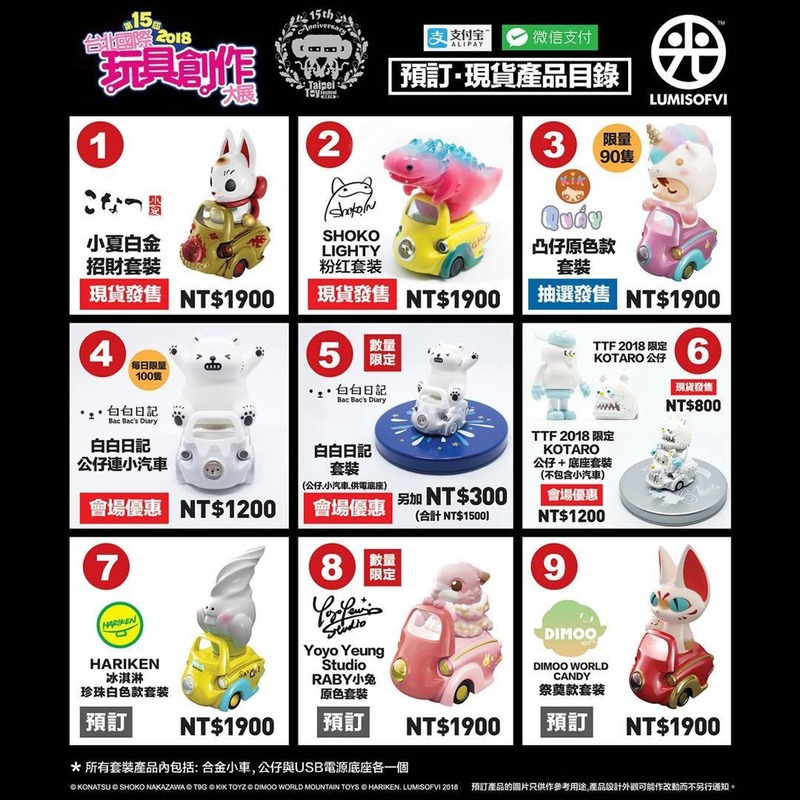 Lumicar is at TTF with several releases including new light-up cars+figures from YoYo Yeung (Color Raby Pre-order) and a blind-box (interesting…) Bac Bac Diary series (3 designs + 1 chase). 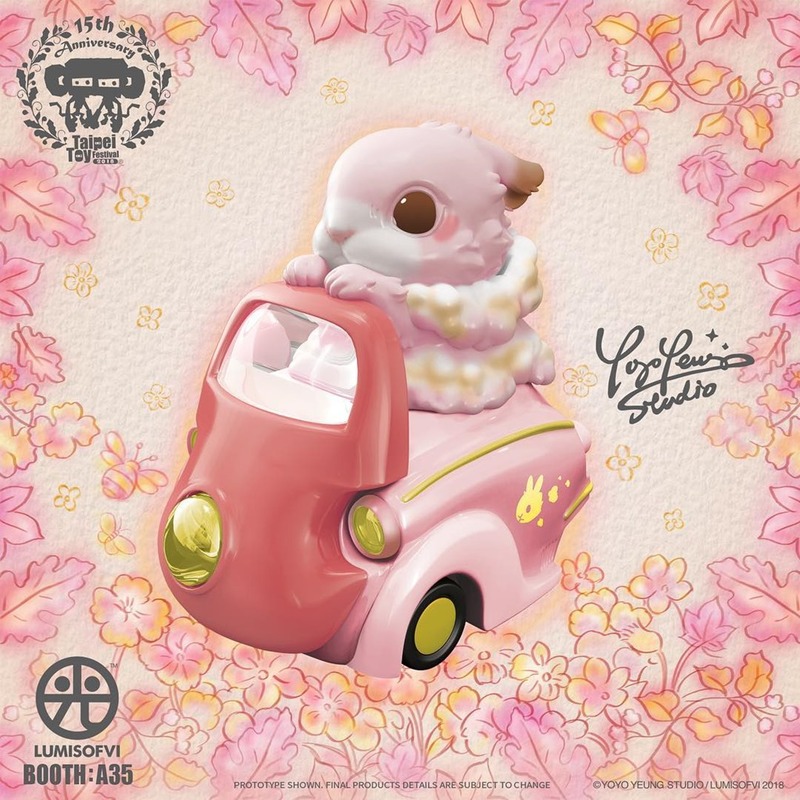 They will also have cars from Shoko Nakazawa, Kik Toyz, Konatsu, Dimooworld and more. 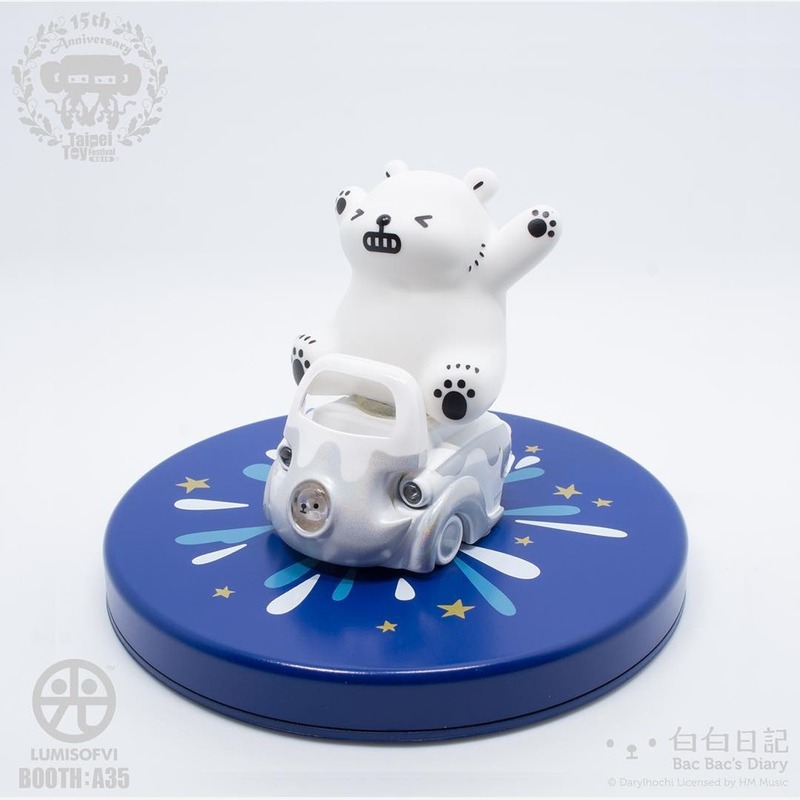 All of the light-up action will be available at booth A35. 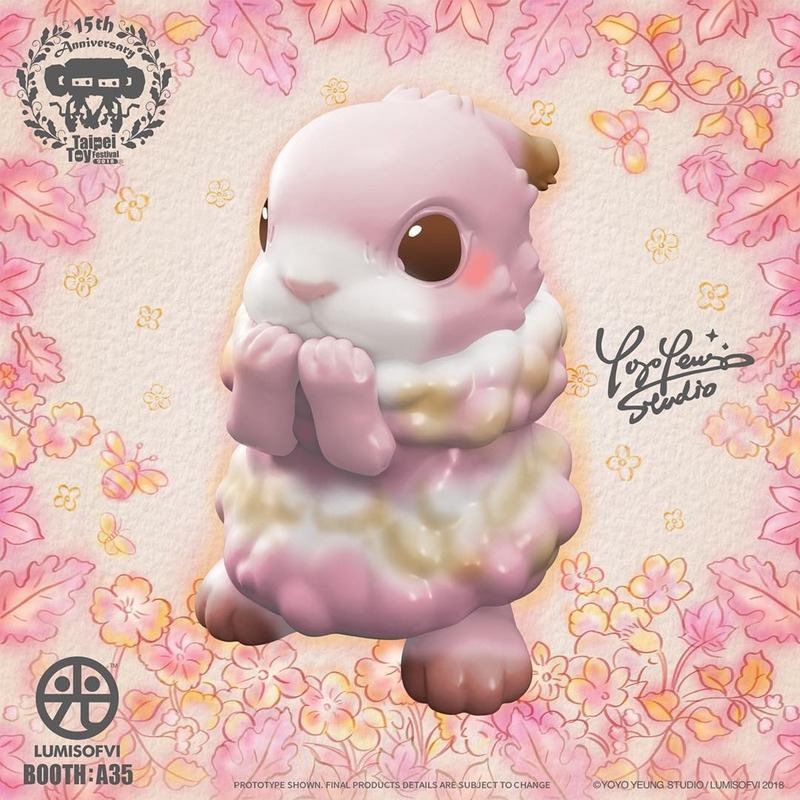 See the item flier for all the release info. 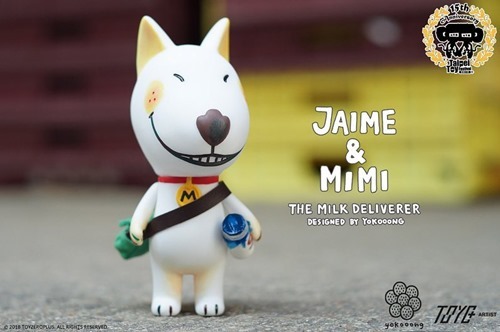 Korean artist RastaMoon is set to debut his swanky Uomini resin figures at Taipei Toy Festival (10.18 – 10.21). The figures celebrate traditional men’s fashion set against a tailor-style backdrop/concept. 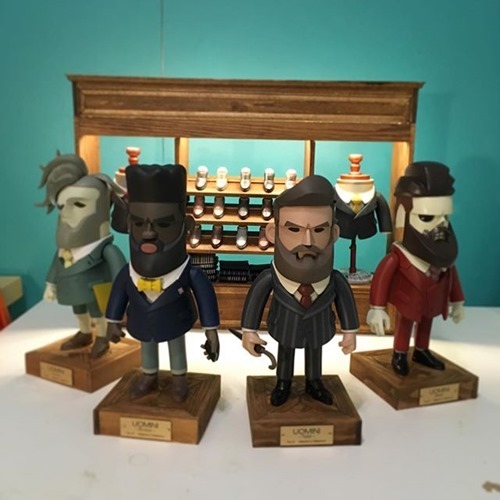 Each figure is meticulously assembled from individually cast components in order to create the impeccable style and detail. Well, Hello there! 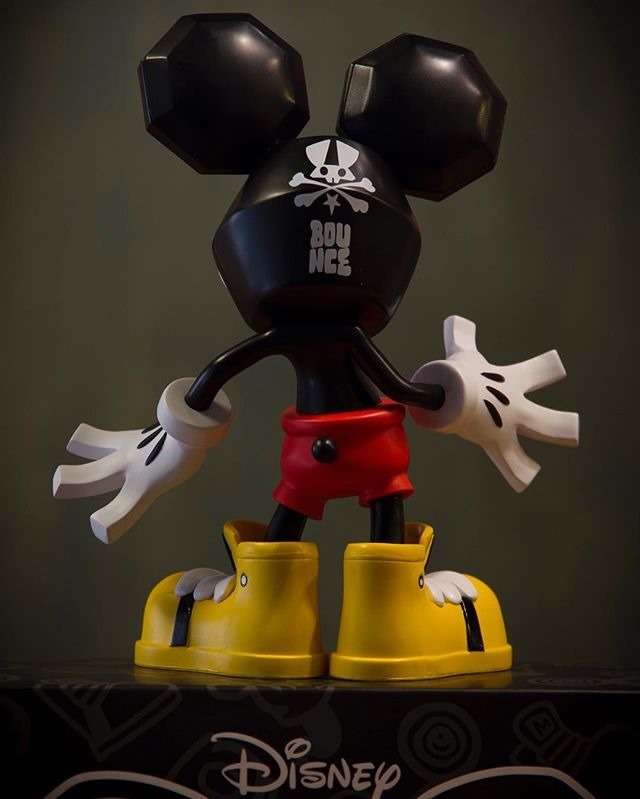 Taiwanese street artist Bounce will debut his officially-licensed Bounce Mickey (7”) art toy at Taipei Toy Festival (10.18 – 10.21) at booth A18 for NT2800 (~$90) ! 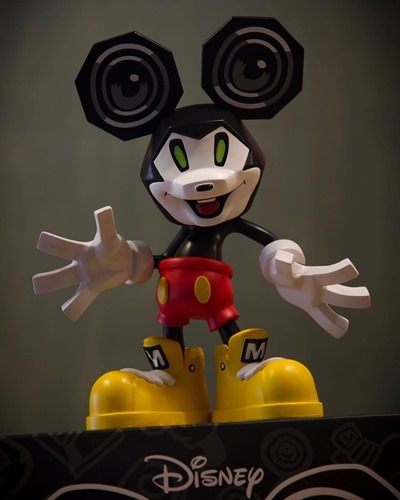 Produced by Cosmi, Bounce Mickey has a fun, dynamic flat-edged sculpt with the artist’s familiar speaker-style ears, oversized shoes, and an electric pose. 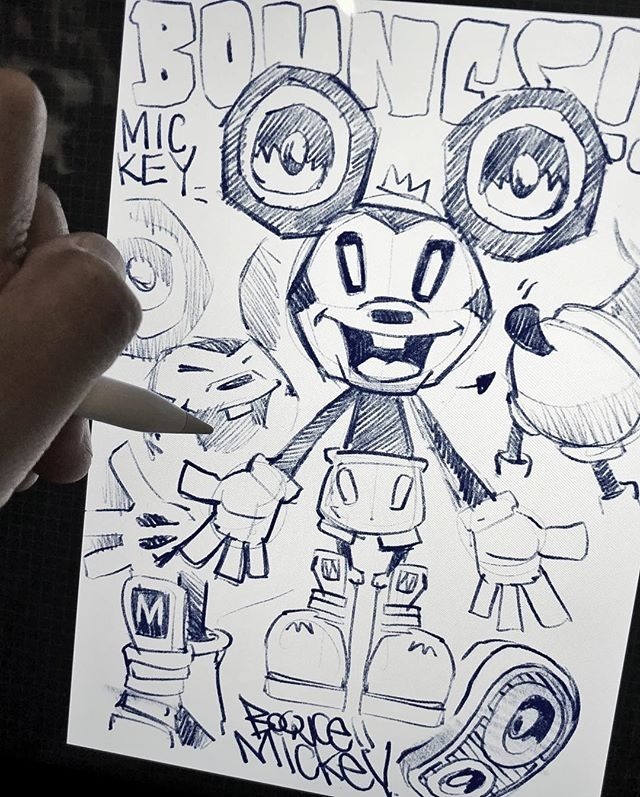 Stylized versions of Mickey abound, but Bounce’s is one of the best around.This one is limited 500 pieces, with 180 set aside for TTF – we’ll keep an eye out for a general release. This is a follow-up of sorts to Bounce’s previous Mickey toy on Cosmi’Hit the Jump for Bounce’s quick video of the figure. 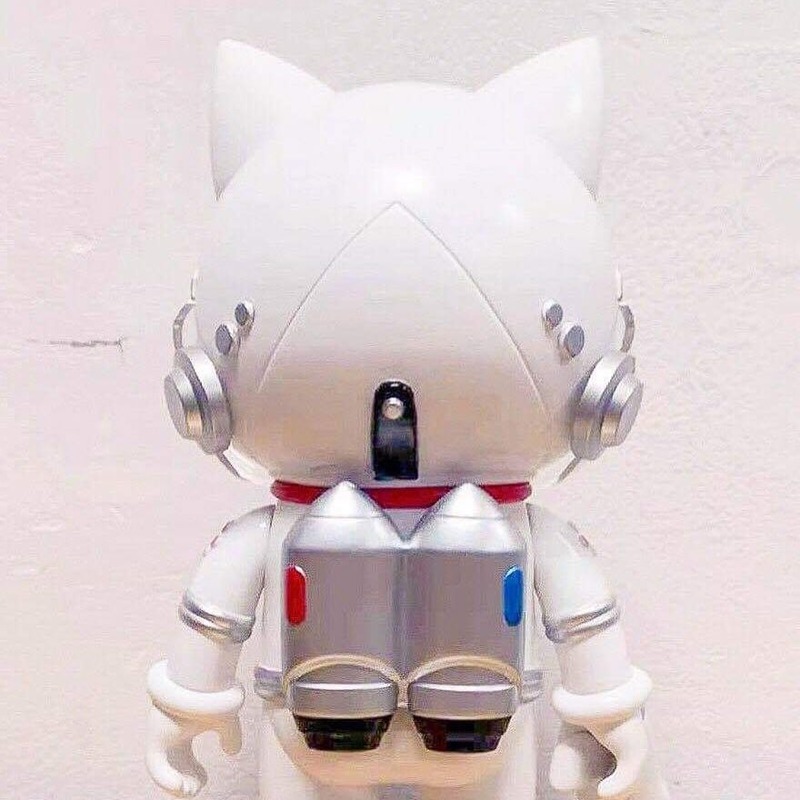 After previewing an unpainted proto at BTS, Shon will release the debut edition of his Space Cat sofubi at Taipei Toy Festival (10.18-10.21). The large, deluxe figure steps out of the air lock in a brilliant white edition, complete with cosmic ‘paw’ gun, elaborate helmet with clear visor and groovy space suit. 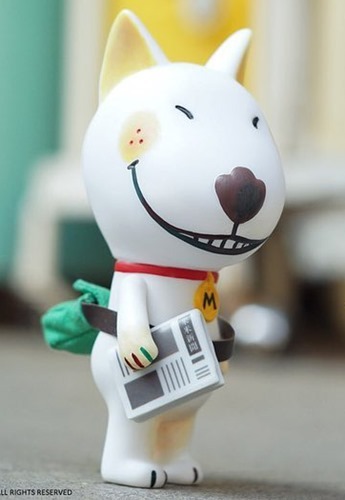 The sculpt is aces. 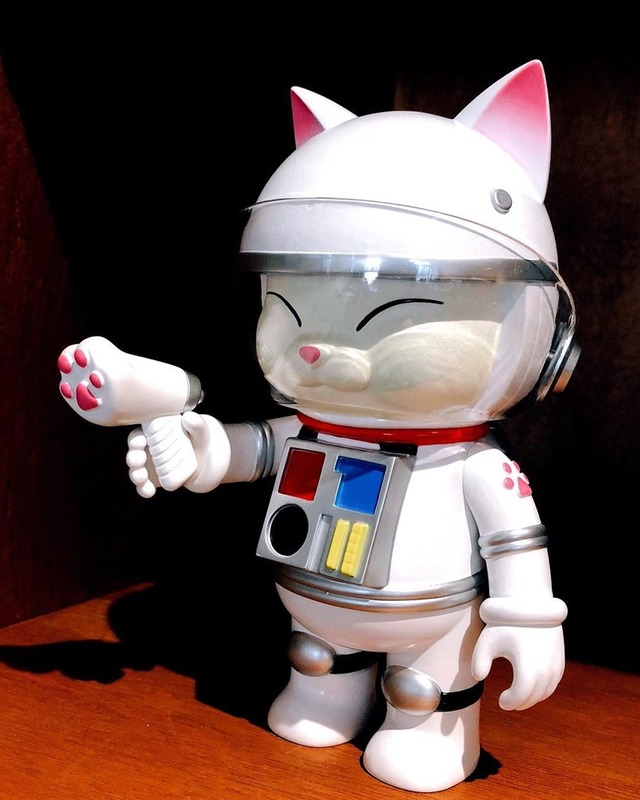 If you’re going to TTF, you’ll find Shon and Space Cat at booth A19. 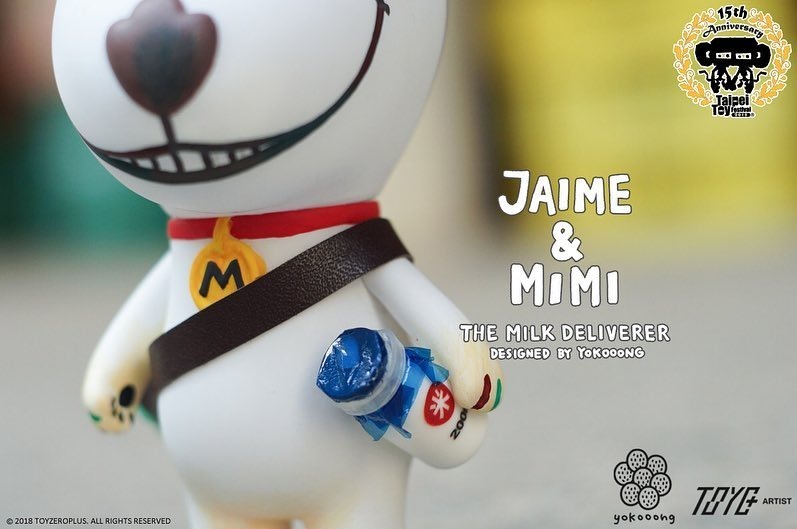 Jaime & Mimi: The Milk Deliverer debuts at the Taipei Toy Festival (10.18 – 10.21) from Toy0+ [Booth A13].